Situated at Causeway Bay, Hong Kongs leading commercial and shopping district, easily access to Hong Kong major transportation and attractions spots - just 2 minutes walk to MTR station and 10 minutes to Hong Kong Convention and Exhibition Centre . The Hotel features 266 guestrooms, all designed with guests' comfort in mind. There are Non Smoking Rooms, Air Conditioning, Bathrobes, Daily Newspaper, Inhouse Movies in each of the hotel's well-equipped rooms. 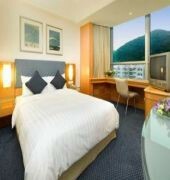 The METROPARK HOTEL CAUSEWAY BAY HONG KONG is a Family Style, Business, Leisure, City hotel, Full Service, Child Friendly hotel. Located in HONG KONG area. Shopping is accessible by bus/taxi and the nightlife/restaurants are easily accessible by taxi or bus from the hotel. 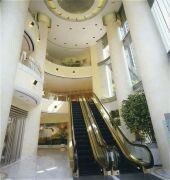 Descriptionclass="small" style="text-align: justify; font-size:11px;">Situated at Causeway Bay, Hong Kongs leading commercial and shopping district, easily access to Hong Kong major transportation and attractions spots - just 2 minutes walk to MTR station and 10 minutes to Hong Kong Convention and Exhibition Centre . The Hotel features 266 guestrooms, all designed with guests' comfort in mind. There are Non Smoking Rooms, Air Conditioning, Bathrobes, Daily Newspaper, Inhouse Movies in each of the hotel's well-equipped rooms.